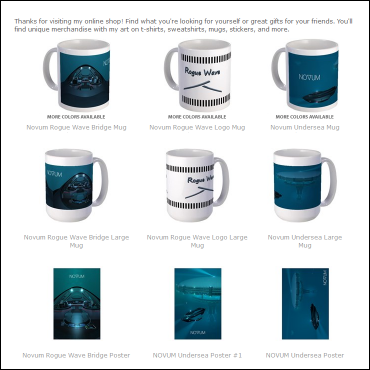 My brother, Joe and I are offering an exclusive line of T-shirts, mugs, and posters, all featuring my CGI artwork from the Cyberdrome novel and Novum series. 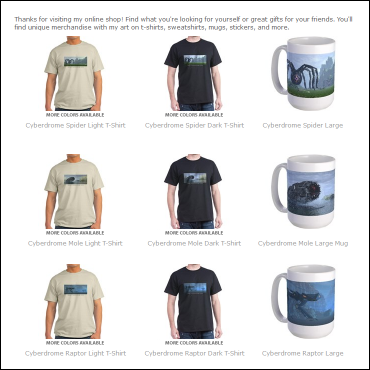 These are Limited Edition items that are not found anywhere else and are all sold at cost (we make no $ from these). Click the links below to see them.